Are professional associations at risk of becoming redundant? Australia has over 200 industry associations spanning professional areas such as public health, nutrition, sport, nursing, business, accounting, finance, law and marketing, just to name a few – but are these associations at risk of becoming redundant at the hands of the social media boom? That is certainly the argument being made by online marketer and chief executive of Lead Creation, Toby Marshall in a recent BRW article titled ‘Industry associations lose ground’ and I’d have to agree. As Toby points out, industry associations were traditionally set up to connect people professionally; facilitate networking; share information and knowledge through conferences and seminars; facilitate professional development; lobby governments and, in many cases, provide accreditation. However, social media sites such as LinkedIn can provide many of these functions for free, leading many professional association members wondering whether their annual fees are still providing value for money. Social media groups certainly seem to dilute some of the traditional advantages of association membership, but will they eliminate the need for having professional associations all together? For some industries, being a member of a professional association will continue to be important in terms of endorsing or adding credibility to your qualifications; however, for others the lure of social media’s ability to offer a wider range of information, varied commentary and increased engagement is likely to force many associations to consider integrating social media into their current membership offering or risk a reduction in membership numbers (and therefore revenue). If professional associations are to survive in this era of social networking, they will undoubtedly have to adapt to better serve the needs of their member cohort. Certainly some appear to recognise this and have developed online newsletters and webinars to enable online professional development; however, many still fall short of their potential to provide online networking and relationship building opportunities. So how can professional associations use social media to provide members with a place to connect and build relationships at their own convenience? One solution would be to create a networking section on the association’s website in addition to developing and maintaining a presence on Facebook and LinkedIn, then facilitating engagement by giving members an opportunity to contribute blog posts, start discussions, and post news updates. Associations could also create a Twitter list for members, and through the association’s own twitter account, routinely link to member tweets and posts. Doing so would enable the association to become a valuable social networking channel for members, providing them with a place to network in their own time, on their own terms, and in the comfort of their own home. Would you consider membership of a professional association that didn’t provide a social media offering to members? This entry was posted on March 23, 2011, 7:18 PM and is filed under All, professional associations, social media. You can follow any responses to this entry through RSS 2.0. You can leave a response, or trackback from your own site. It’s an interesting case that you raise. While society does seem to be embracing social media, I would also like to mention that there are still some “associations” or “secret societies” that date back to the 16th and 17th century that still exist and don’t seem to be affected by the increase in social media. One that springs to mind is the Freemasons otherwise known as the Masonic Lodge. join together as they have things they want to change in the world. A part of what makes these associations so appealing is the anonymity that comes with being a member. The secret speech, handshakes and what it is that actually goes on behind those closed doors – Those of us that are not members can only speculate. While social media has its place – There are some associations I feel will stand the test of time even with the introduction new technologies. In response to your question “Would you consider membership of a professional association that didn’t provide a social media offering to members?” At the moment I would probably say yes I would consider membership but only if I was receiving a real benefit still from joining the association. I also agree with the author of the article that ‘Associations must embrace and integrate social media into their offerings’. They need to do this to remain competitive with online groups as suggested and also to keep providing the best possible services for their members to ensure they are getting the most from their membership. I also think your suggestion of a solution to have a networking section on the associations current website is a really good one, inviting members into online discussion and groups also helps the association to maintain some form of ‘control’ and also is another place they can ‘market’ to their members. In response to Jenelle’s comment, I also agree that there are definitely associations that have the potential to ‘stand the test of time’ however to do this they may need to also embrace some form of social media into their offerings and advance with technology – this could still be maintained anonymously and not take away from ‘secret societies’ appeal to members. I think that there are many ways of approaching this topic since there are different target markets for the whole bunch of associations that exist. As Jenelle said, there are still secret associations whwere social media market will not not work, because of the nature. There are also certain target markets that are not in the social media era yet, so this could turn a bit confusing and not trustworthy. In mi opinion, associations should evaluate their target markets first and develop a social media marketing strategy relevant for that target market. Nowdays companies are using this media all the time, but not necessarily in the most effective way. So, associations and businesses should be aware of these issues developing strategies that have a positive impact in their customers. Common social media mistakes and how to avoid them! 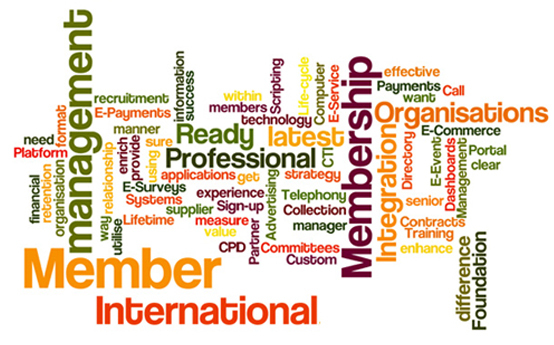 How can associations and their members benefit from e-marketing and social media?